If you just Googled “Benefits of Solar Power for Business” your most likely looking into installing solar panels for your commercial property and want to know what the benefits of doing so are. If that’s the case, this article should help list the many benefits of commercial solar power and why going solar today is more important than ever in the past. Commercial electricity costs aren’t cheap and the price of oil is continuously rising. It is important to go solar now and lock electricity rates in before they increase! Also, many business are installing solar panels as a way to help the environment and lower their carbon footprint. Solar energy can be used for many commercial processes including heating hot water, electricity, air conditioning and more. Many commercial and industrial facility owners are turning to commercial solar power in hopes of benefiting from its many advantages. Read more about the benefits of solar power for business below. Business can save thousands, if not millions, with commercial solar power! Almost any business can benefit from solar power but there are certain businesses where solar really shines. All utilities included apartments and nursing homes, for instance can benefit the most. This is because electricity costs are a flat fee and included in the rent with these types of facilities. Lowering the cost of what you are currently paying for electricity will instantly put money in your pocket and even more ROI after you pay off your commercial solar panels. 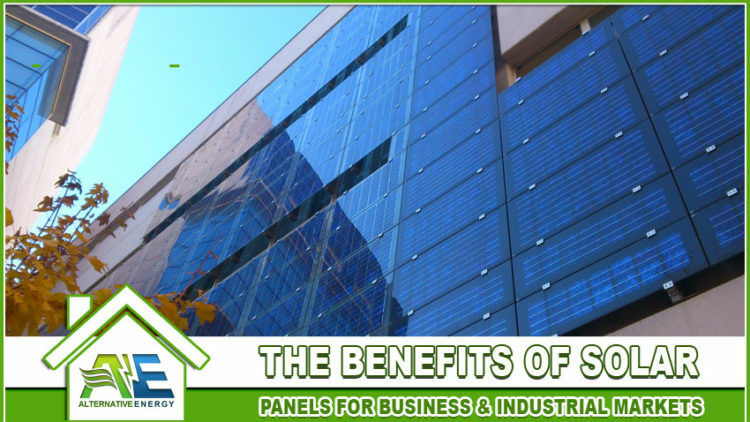 However, almost any commercial or industrial facility can benefit from solar panels. If you have high commercial electricity costs and spend a ton of money on cooling during the summer, commercial solar panels can instantly offset that cost, save you thousands a month right away and even more after your system is paid off. Read more about the advantages of commercial solar power below.